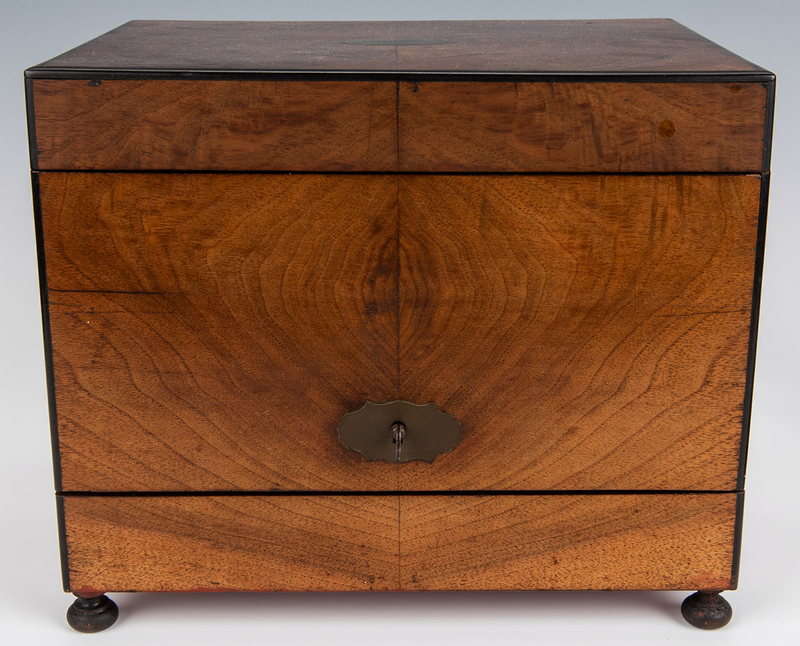 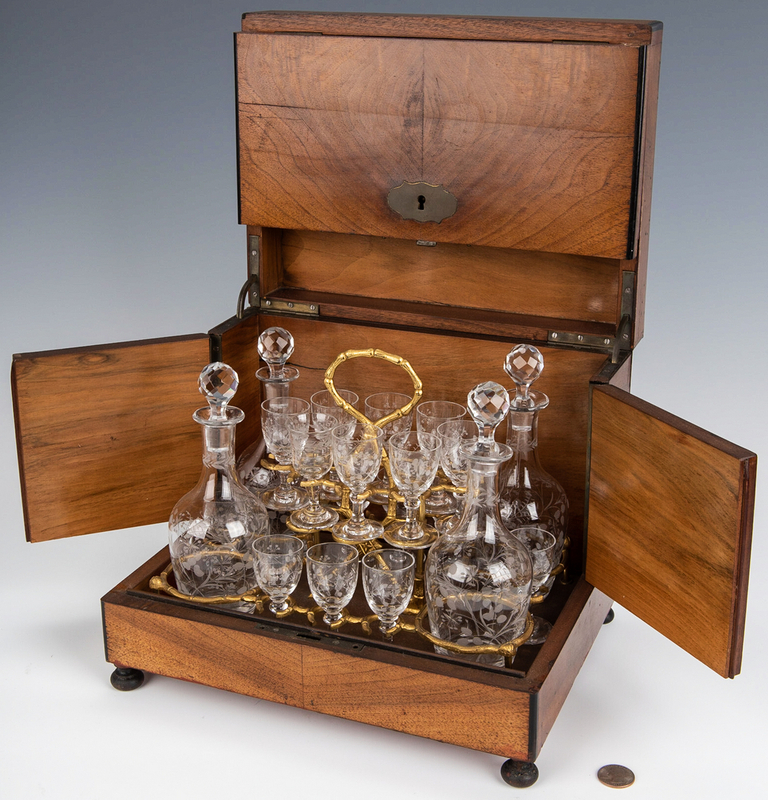 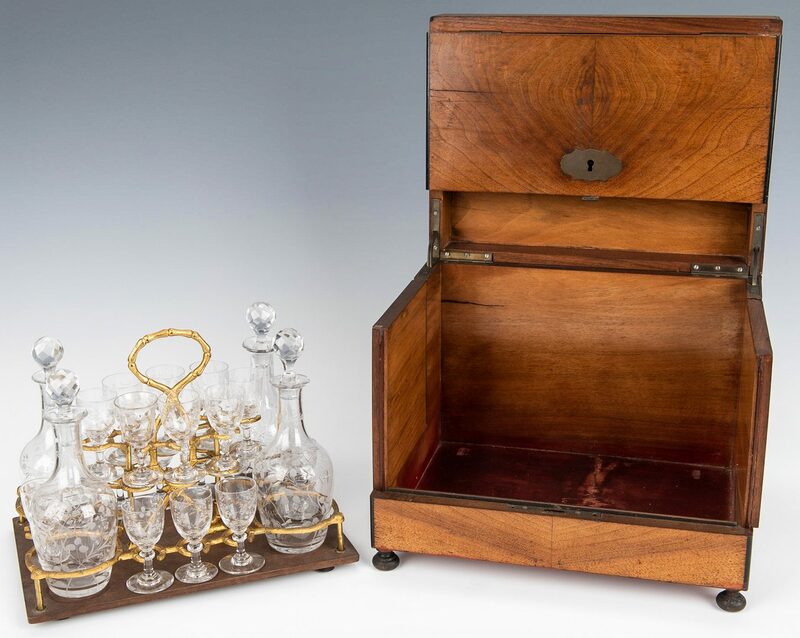 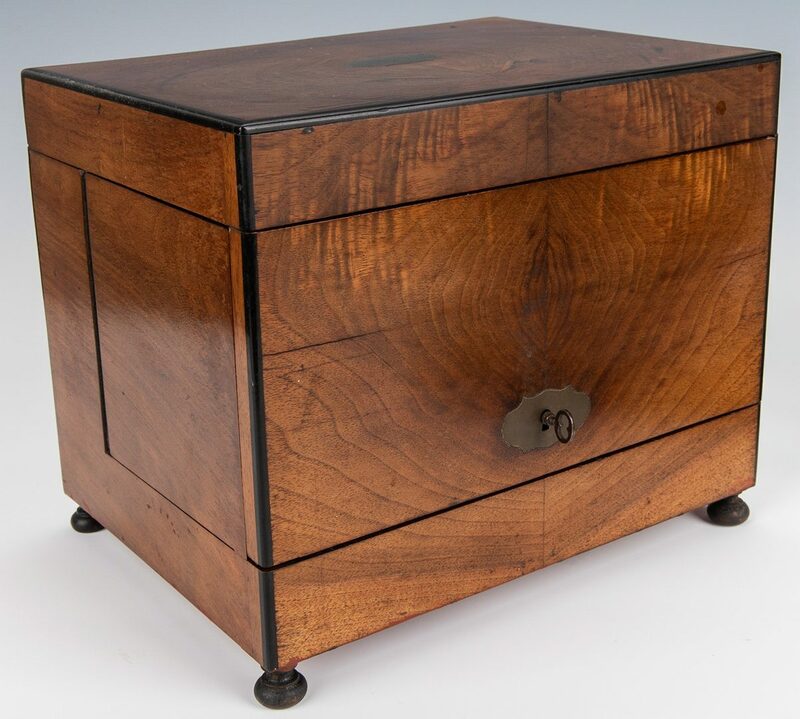 European tantalus or portable liqueur cabinet, mahogany with ebonized trim and bun feet, hinged front cover with brass nameplate. 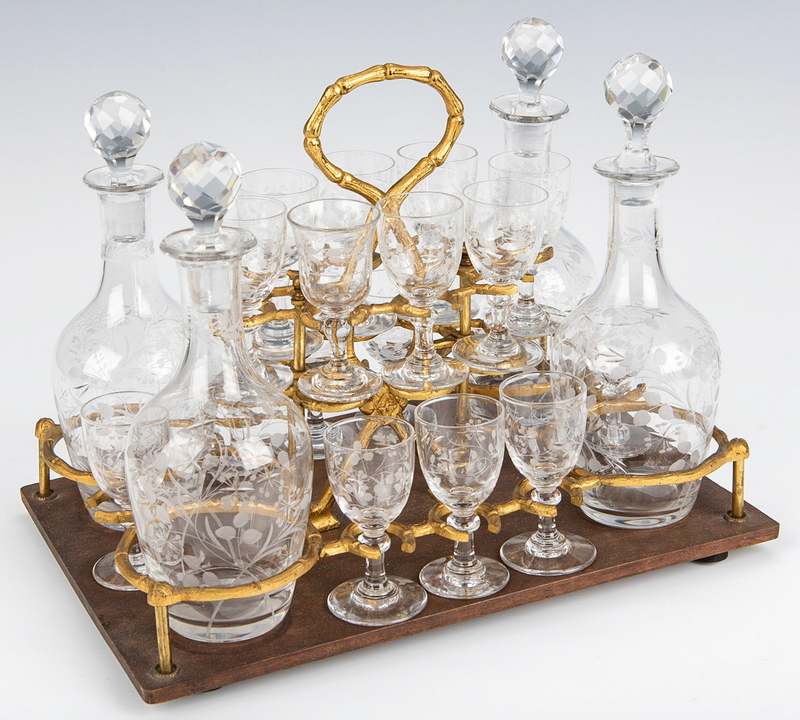 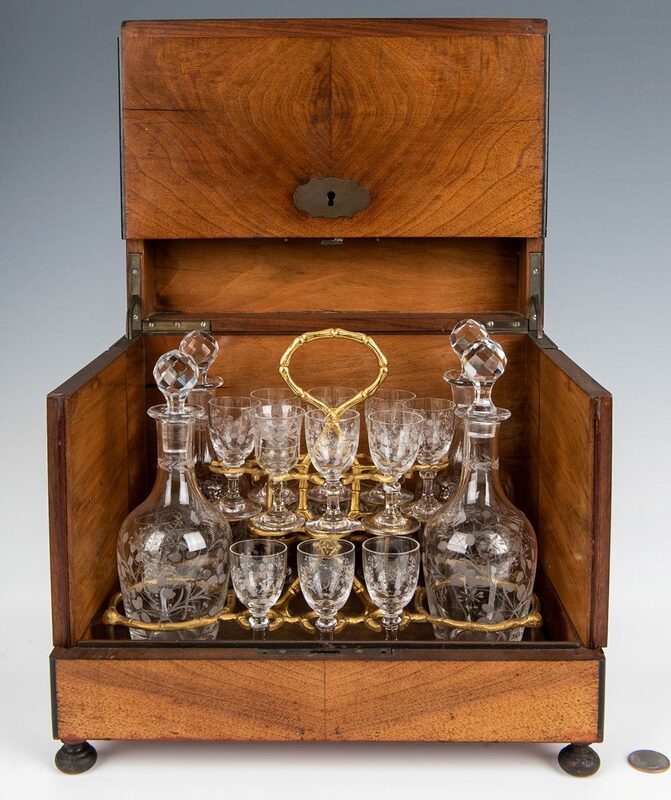 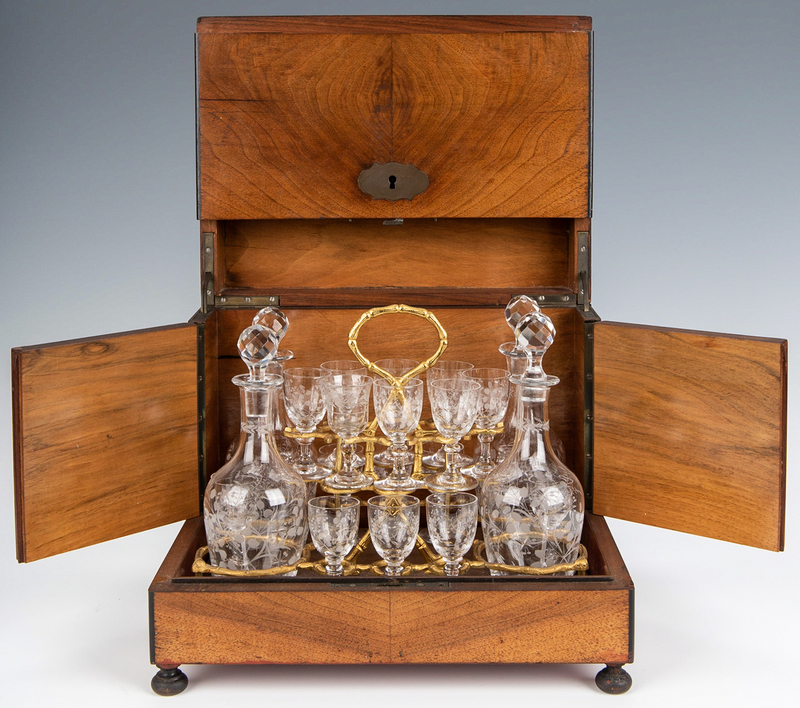 Top and sides open to reveal a tiered gilt metal removable rack holding 4 etched and cut glass decanters and 16 matching cordials. 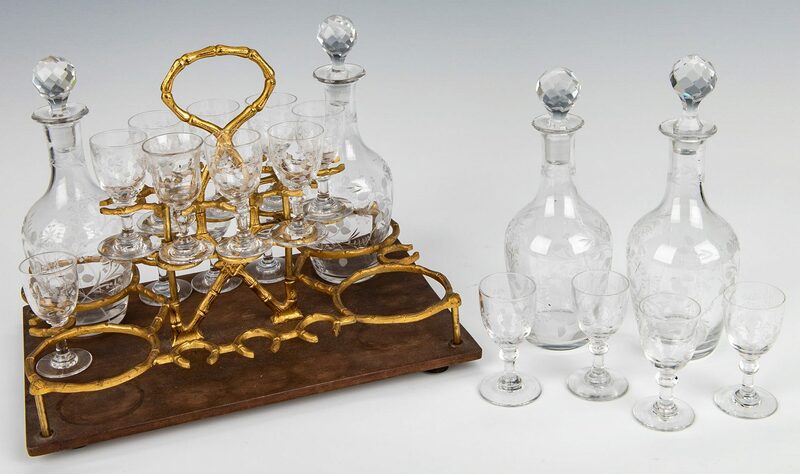 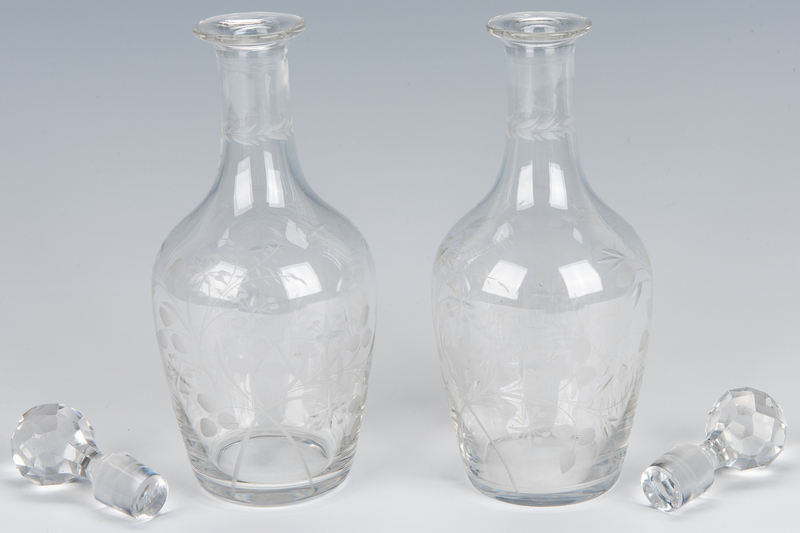 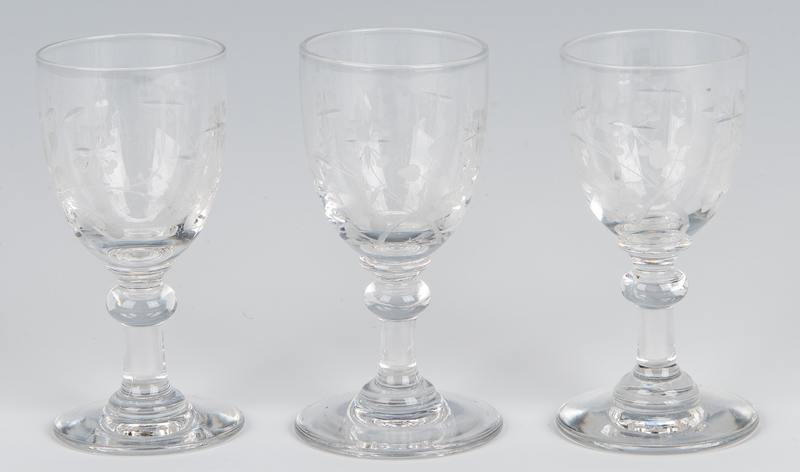 Decanters – 8 1/4" H. Cordials – 3" H. Case – 10 3/4" H x 12 5/8" W x 9 1/2" D. Late 19th century, possibly French. 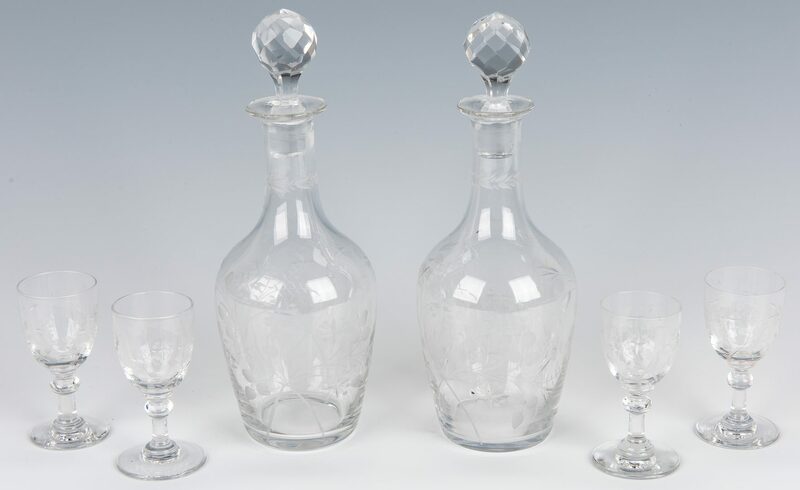 CONDITION: All decanters and cordials overall very good condition. Some general wear and a couple of surface abrasions to the case.